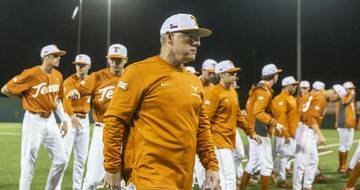 Not that Texas baseball coach David Pierce had anything to worry about, but Mike White isn’t gunning for his job. White isn’t a guy that got into coaching softball as a way to stay associated with baseball. 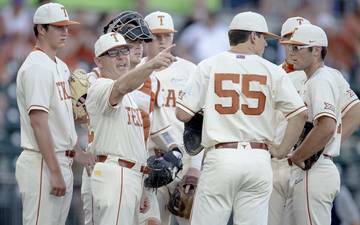 In fact, Texas’ new softball coach has never played an inning of baseball. He’s a softball lifer, having pitched for national teams in New Zealand and the United States and having coached for 30 years. 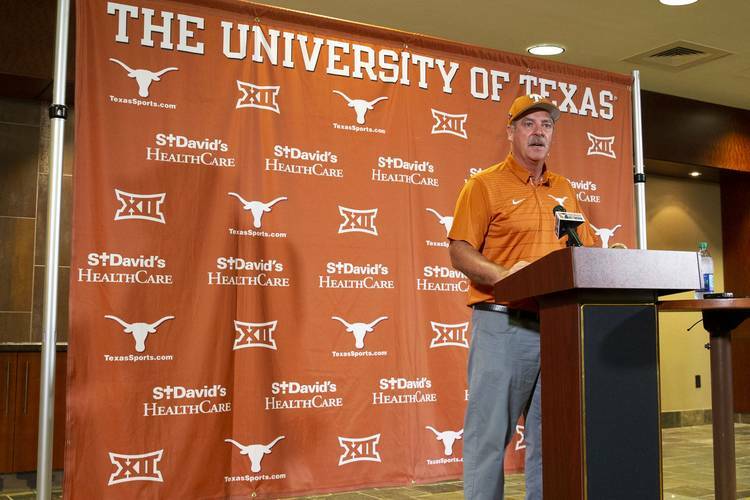 White, 56, was introduced as the second softball coach in Texas’ history on Tuesday. 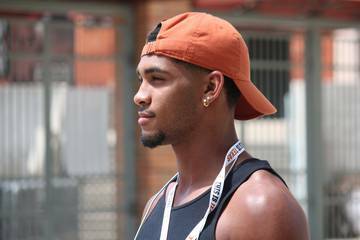 Among those in attendance were family members and a half-dozen of White’s new UT players. Pierce and Edrick Floréal, who stood at the same podium as UT’s new track and field coach on June 14, also were onlookers. 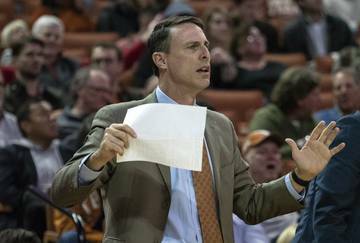 Citing financial security and the ability to win, White took this job at Texas after a successful nine-year run at Oregon. Terms of White’s contract have not yet been released. A source told the American-Statesman that White received a five-year deal, and the Eugene Register-Guard reported Monday that he will become the second-highest paid softball coach in the country. 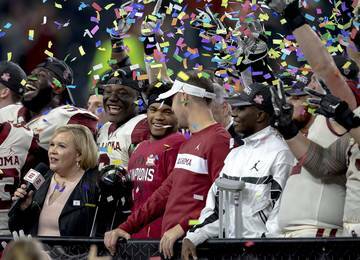 (Oklahoma’s Patty Gasso makes $925,000 annually). Oregon was 16-34 the year before White took over in 2010. He went 435-111-1 with the Ducks. He led Oregon to the Women’s College World Series on five occasions. 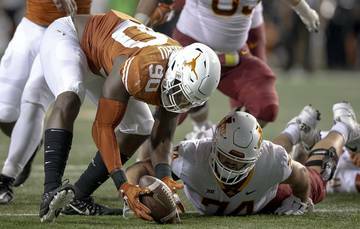 Texas athletic director Chris Del Conte said White was one of five serious candidates. Del Conte intensified his focus on White this past weekend. The hire was announced on Monday afternoon. White met some of his players for the first time on Tuesday. But he should already have an awareness of what he’s inheriting on a team that went 33-26. White thinks that good teams need to boast a .970 fielding percentage, which bodes well for Texas since its .976 mark in 2018 ranked 12th in the country. He also applauded a pitching staff that retains all-conference left-hander Brooke Bolinger. The Longhorns, White said, need more home runs and steals. Last season, UT’s 0.42 homers per game average ranked 203rd nationally. Its 0.63 steals per game ranked 202nd out of 296 teams. White needs to hire two assistant coaches, and he said he has already received plenty of interest. Chelsea Spencer, an assistant at Oregon for the past six seasons and the Ducks’ current interim coach, is atop White’s wish list. 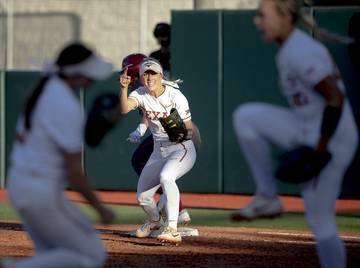 After guiding Oregon to the NCAA’s fifth-best ERA last year, White expects to coach Texas’ pitchers. He wouldn’t rule out the hiring of a pitching coach, though. 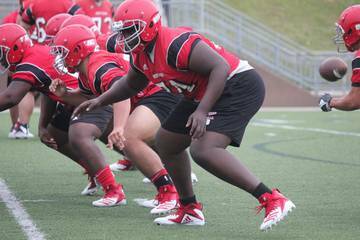 He expressed confidence in his ability to evaluate talent but said his assistants would likely have to make up for his shortcomings on the social side of recruiting. “I’m going to look for grinders,” White said of his assistants. Del Conte opened the press conference by thanking Connie Clark, the “OG of Texas softball.” For those not aware, “OG” is abbreviated slang for “original gangster.”; Clark led UT from the program’s start in 1996 until her resignation in May. 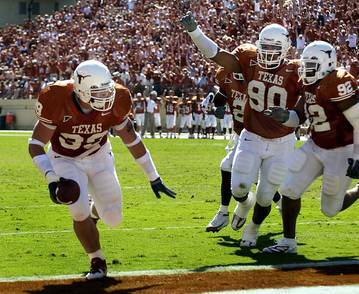 Under Clark, the Longhorns won 873 games. They reached the College World Series five times. Questions persisted over the past two years about Clark’s future, although both she and her players insisted it wasn’t a distraction. 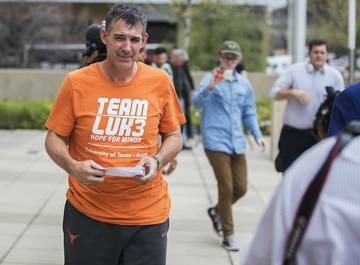 Alcozer said Tuesday, however, that the Longhorns can now focus solely on softball. At Oregon: Transformed the Ducks into one of the country’s elite programs. White went 435-111-1 (.796) in his nine seasons, including a 150-55-1 mark in the Pac-12. This season, the Ducks went 53-10, won their fifth Pac-12 title, secured the NCAA tournament’s No. 1 overall seed, produced four All-Americans, ranked No. 1 in the country in RPI and made it to the Women’s College World Series for the fifth time under White. Finished the season ranked No. 6 in the country and ranked third nationally in winning percentage (.841), fifth in ERA (1.38), seventh in team batting average (.322), ninth in home runs per game (1.24) and 10th in scoring (6.1). … He won five Pac-12 titles at Oregon. … Led Oregon to at least the super regionals in all nine of his seasons.